OUR NEW PROGRAM! The HueTracker!! 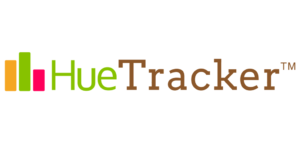 HueTrition has another exciting health and wellness program in app form, HueTracker, set to release by July 2019, with other features to be added by January 2020, including access to medical professionals, dietitians, chefs, health coaches, and personal trainers. HueTracker not only makes it easy to track your water, calories, exercise, protein, but also your colorful intake of fruits and vegetables as well! What is different about our mobile app is that it gives you a companion, Huey, that helps and encourages you to reach and maintain your goals, as well as access to our experts! You can access it from your mobile or on your desktop as well! We are now funding on KickStarter to make this app come to life! If you’re reading this and you’ve always wanted to back a project on KickStarter, your time is definitely now! If you choose to pledge, you won’t get charged until we are 100% funded- this really is all or nothing! You can also gain early access to the app, and free access to our experts (personal trainers, dietitians, etc.) with certain pledges! HueTracker featured in 360 Magazine!! !